My room was previously used as a resource room, not a classroom. 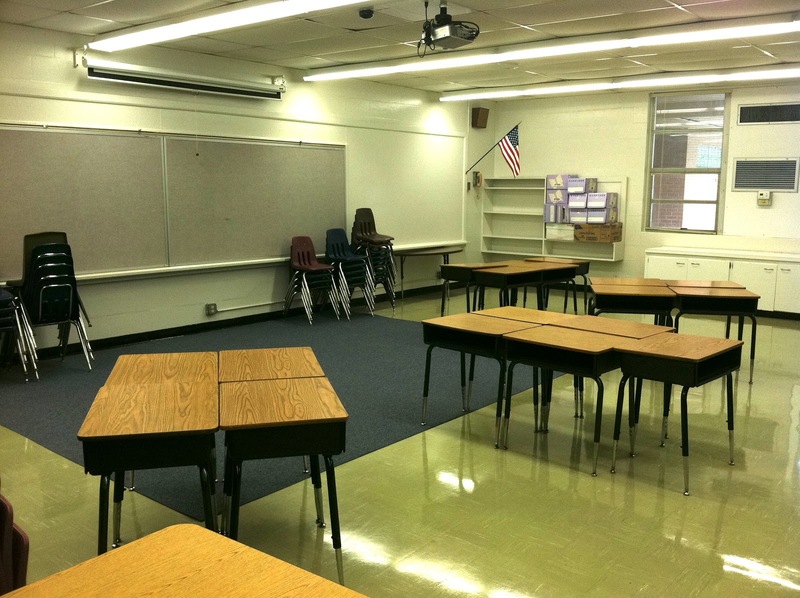 It came with only about 6 boxes of the previous teacher's paperwork and no SMART board. 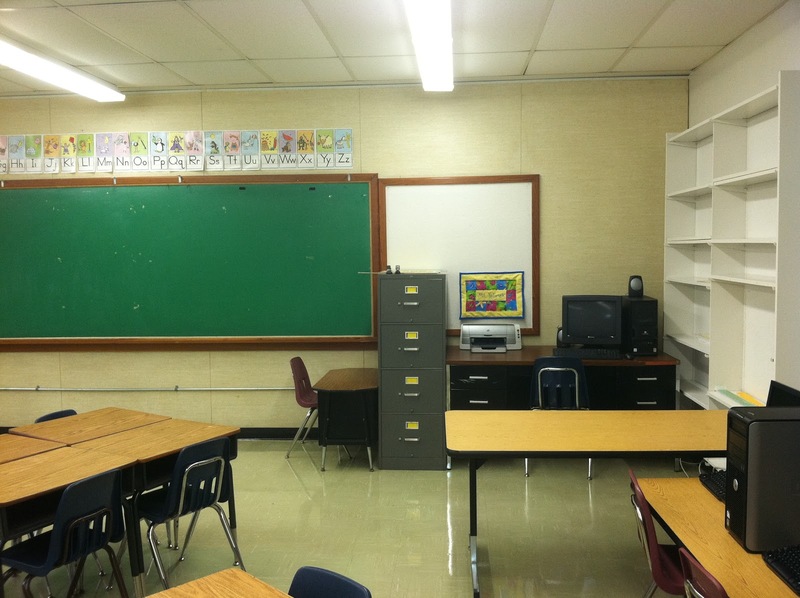 Having a SMART Board was on my teacher 'wish list' and every classroom in our school had one but me! 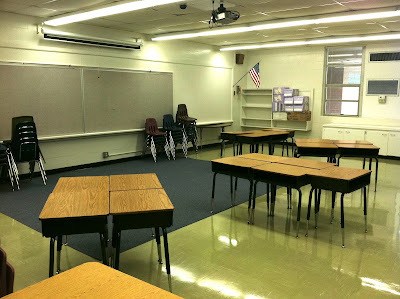 Supplies, books, a whiteboard are all items you might think you'll find in your room but when my room had zero I realized I was a little over my head. My mom is a super star at cutting out the little animals with goggly eyes and the letters. I'm still so grateful she helped get my classroom all put together. First I printed Ladybug Teacher Files adorable templete found here. Then I laminated it, cut it all out, and set it up on the floor just to check it all out. I was pretty impressed by how adorable it is! It actually isn't set up right in the picture above; we all know Go does not go on the left! Silly me. Then I hung it up on my designated bulletin board and added the construction paper made pouches to hold the Computer Cards and Chance cards. I simply cut out some construction paper and stapled around the edges and bottom (not the top) so the cards would stay put (see them picture above). Easy and free! I do love LadyBug Teacher Files idea of business card holders though. Homework is collected every Friday. I do weekly packets; they go home Monday but could go home that Friday if I wanted them to. Wish I started the year off doing that but not going to start now. 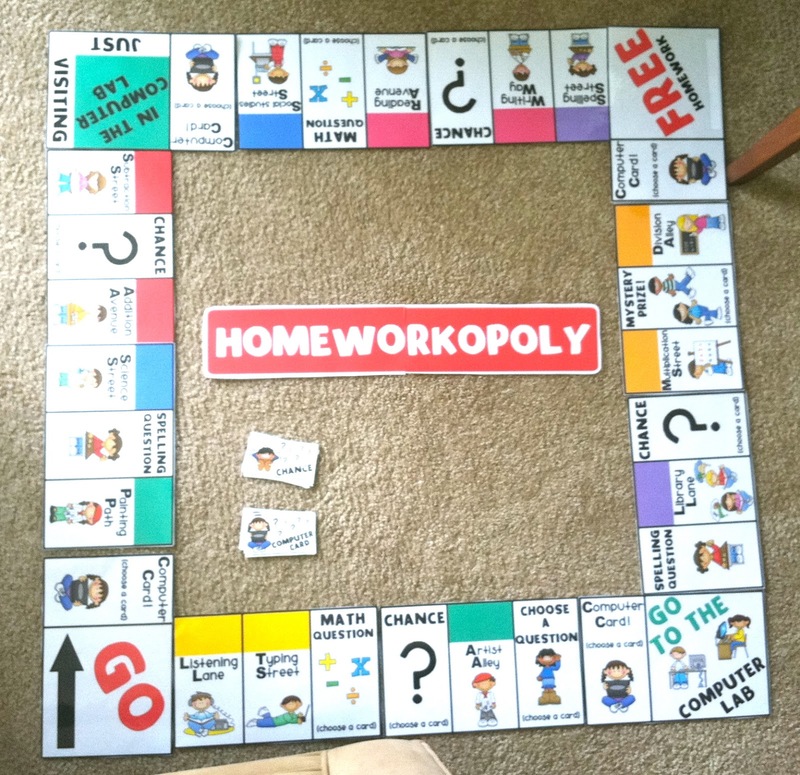 I review/correct the homework during my planning period then we play Homeworkopoly at the end of each Friday. Students who complete the entire homework packet get one roll, I use just a normal die. Students who do extra credit get two rolls. Depending on how much extra credit they might even get three! 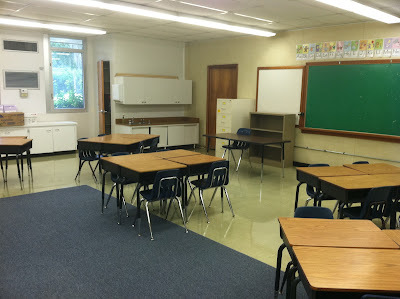 Students who land on any regular space that doesn't have any directions like Listening Lane, Go, Computer Lab, ect. go to small treasure box which contains small candy, erasers, pencils, and small toys from Oriental Trading. I feel like every student deserves a reward for doing all of their homework. 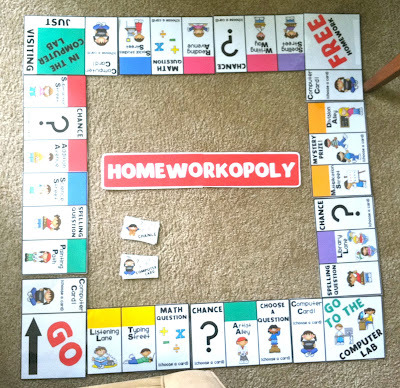 At my school I'm not allowed to punish the students for not doing their homework so making sure I reward and play homeworkopoly is one of the few ways to motivate them to do it and to do extra credit. Students who land on math question or spelling question go to the white board and I ask them a question relevant to the topic we are learning about. I make it so I'm confident the student will be able to answer it. If they get it right (usually happens) they go to big treasure box and if they get it incorrect they still get to go to little treasure box. Big treasure box is a large assortment of things that I had in my apartment and wanted to get rid of. I can also go to my parents house and refill my treasure box bucket with things they don't need too. You know those free hats, bags, cups, and other miscellaneous objects you receive from events maybe and just have and don't know what to do with.. well they just all go into my big treasure box (which is really a large plastic tub). Decorations you don't want? Put them in your treasure box. Kids LOVE taking them home! Students who land on Chance or Computer Card pull that card and get whatever the card says. Everyone of my computer cards automatically sends the student to big treasure box. The Chance card has some special rewards that are free for me but the students love such as lunch with me and a friend in the classroom, choose your own seat for the day, choose a game for us to play at recess, or no shoes in the classroom for the day. Some more that could be added is no uniform pass, bring in your own stuffed animal, or teachers seat if you wanted (I don't have a special teacher chair unfortunately). I think that covers all the rules and how I play it. I try to make it as easy as possible and the kids LOVE it! My extra credit stays the same all year. I give my students this extra credit sheet in a page protector that stays in their homework folder. 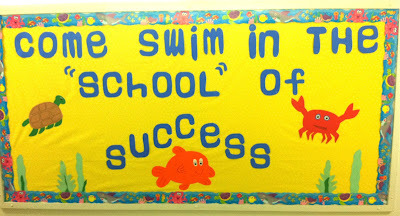 It covers general first grade skills that they could do anytime of the year. And this is my weekly newsletter that gets stapled to their homework. I did take my name off and normally I change the fonts to different one's I have downloaded. I change my letter to parents weekly based on what I find necessary to share. I've found that if I staple the math worksheets with the loose leaf paper (used to do the work work activities) to the Newsletter it has a much higher chance of getting done. Also I do give a lot of homework for 1st grade but I haven't had any complaints and feel it is actually a good amount for my students. 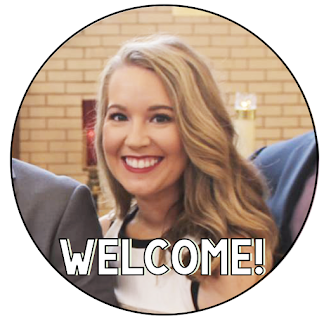 Hope you enjoyed the first peep show of my classroom and the freebies could help you or inspire you! 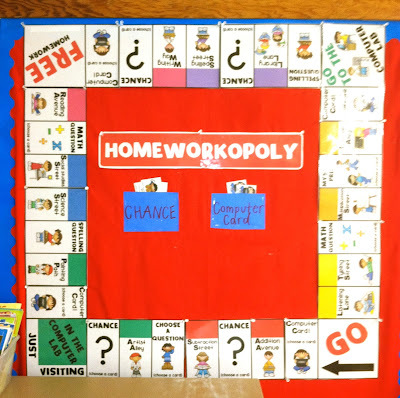 What do you do in your classroom to ensure students are doing their homework? Do you do weekly packets or nightly homework? I'd love to hear other teacher's homework policies are. I loved your new blog!! I give weekly homework - I give it on Monday and they need to return on Friday. However, after working with Eva, I really wish I would give the homework on Friday and have it returned on Friday. 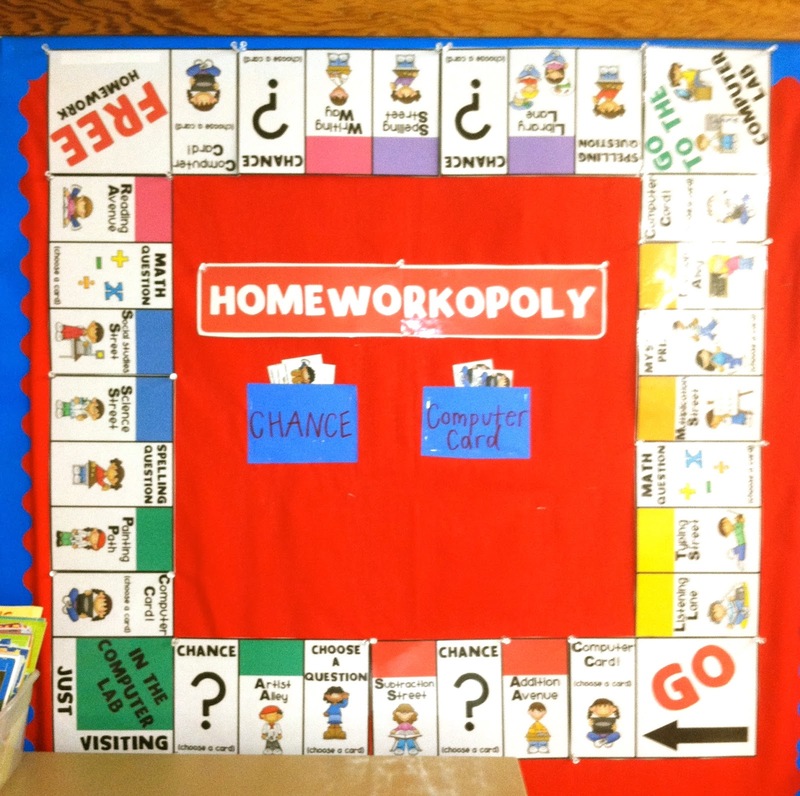 What do you use for the students to mark their space on the game board? how often do the desk monitors give out the cards to the other students? Do you think this would work for 5th grade? and what prizes are you giving them?? .This adjustment requires some ability on how to accurately accessible so comprehensive exam questions is quite easy for them. 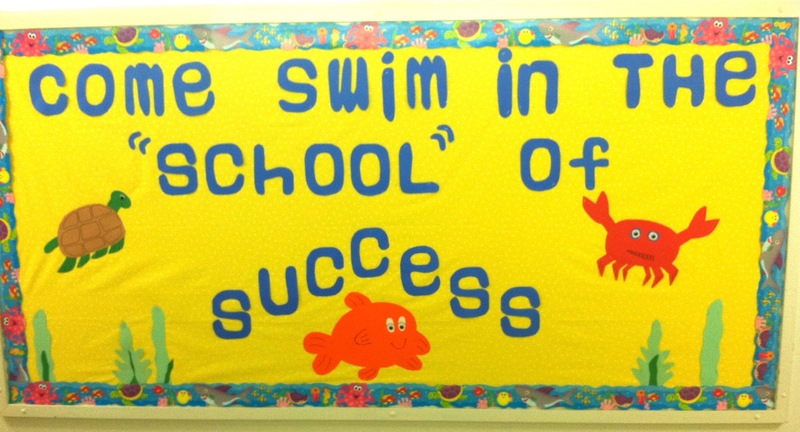 Students will surely be great for them.